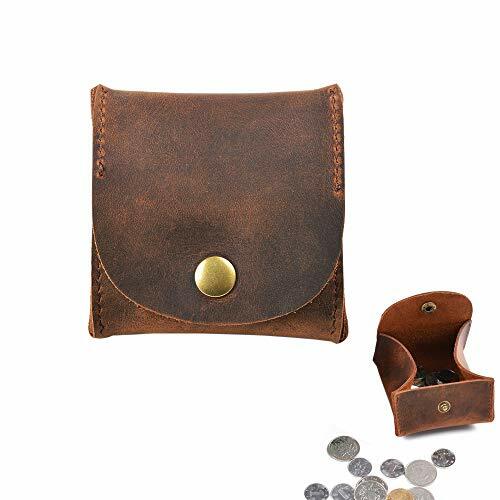 You will surely enjoy this quality leather soft Coin Purse. Fits easily in your pocket or handbag. This has a snap top closure. It is so easy to handle no fumbling with zippers to open your little purse. Just squeeze to open and let go to close it as seen in the picture. This will also make a perfect small gift for the holidays. Made in the USA. Measures approximately 3.5 in. across X 3.5 in. high. For a larger view of this item, please click on the pictures. Available in colors please see color option, More colors on the way. COMPACT SIZE. You can easily carry this change holder with you everywhere you go. Measuring approximately 3.5 W x 3.50 H, it easily fits inside your pocket, handbag, backpack and more for easy access when you need it. Click the 'Add to Cart' Button Now! 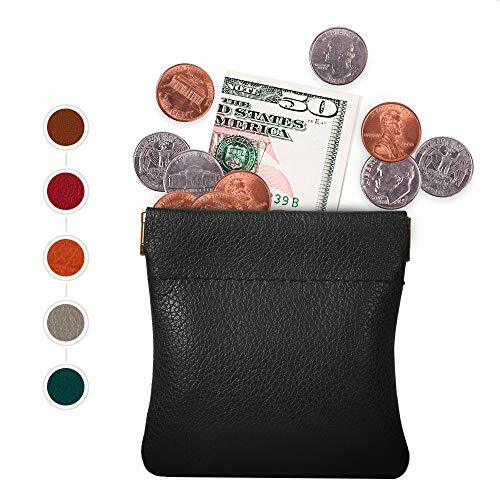 For your Nabob Classic Rubber Coin Purse Change Holder Be shipped today !!! If you are not satisfied with the Nabob Rubber Coin Purse, just return it within 30 days for a full refund, No Quetions asked. Click the 'Add to Cart' Button Now! Coin Purse is MADE IN U.S.A.
GUARANTE:You are covered by our 30 day, no questions asked, money back guarantee. We want our customers to be 100% happy. 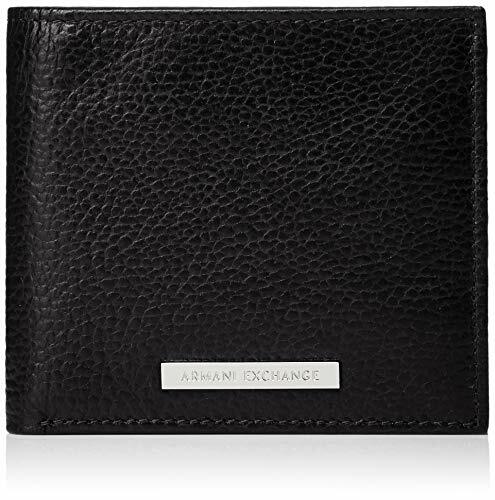 Get the most value for your money with our Classic Men's Large Leather Zippered Coin Pouch Change Holder Genuine Leather Made from 100% real durable leather, High quality. Durable construction That will lasts for years. 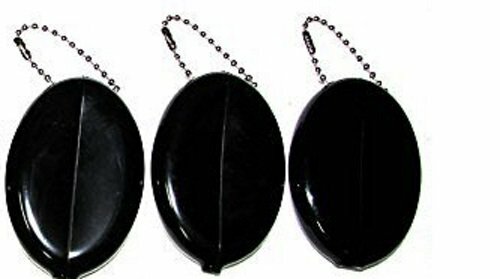 Small size of 4x2.5 inches makes it easy to carry this handy purse anywhere. Incredibly light weight, weighs less than an ounce. Thia Size can Hold coins and dollar bills. One large pocket Click the 'Add to Cart' Button Now! 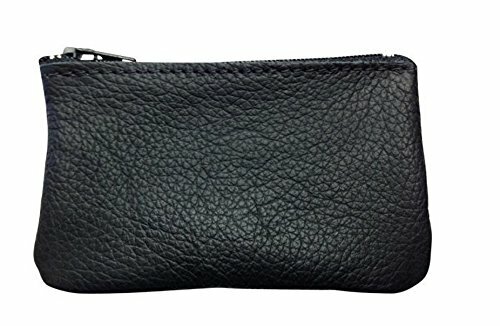 For your Nabob Classic Men's Large Leather Zippered Coin Pouch Change Purse Holder Be shipped today !!! Our Customer Satisfaction Money-Back Guarantee If you are not satisfied with the Nabob Coin Purse , just return it within 30 days for a full refund, No Quetions asked. Click the 'Add to Cart' Button Now! This Coin Pouch Has been Manufactured And Hand Crafted In The U.S.A.
Quikey Manufacturing Co., Inc. is family owned and operated, manufacturing its entire line of products in the USA, from domestic and some foreign materials. Since 1946, the Quikey innovative and original product line has been and continues to be the industry benchmark. Quikey manufactures all of its products to comply with all federal product safety regulations. Despite its modern design and its timeless functionality, the Quikoin in today's shape was already invented in the year 1951 by Frank W. Steere in Akron, Ohio in the United States. Already in the 1950s, 50 million pieces of this ingenious little helper were sold. Ever since the Quikoin has remained very popular in the United States. The Quikoin is produced with the so called dip-mold technique where the mold is dipped into liquid vinyl. This material is extremely durable and is also used in production of high-quality tools. The Quikoin is available in a variety of colors. Many colors and combinations offered to suit your taste or purpose. note: opaque colors do not allow light to pass through while translucent colors allow scattered light to reflect through the rubber material. This bifold leather coin case has an axe logo print on the front of the case. 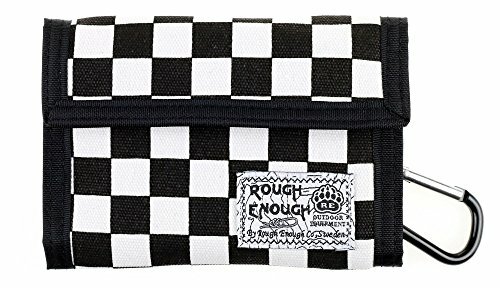 NOTE: ROUGH ENOUGH is an US registered trademark, unauthorized sale without permission, we will investigated for legal responsibility. Please note that we never authorize any third party to sell our brand items, will complain any acts of infringement! Brand: RE ROUGH ENOUGH | Manufacturer: ROUGH ENOUGH INC. This bifold coin case is made from 100 percent leather and has ax logo print on the bottom right of the case. What will I get? 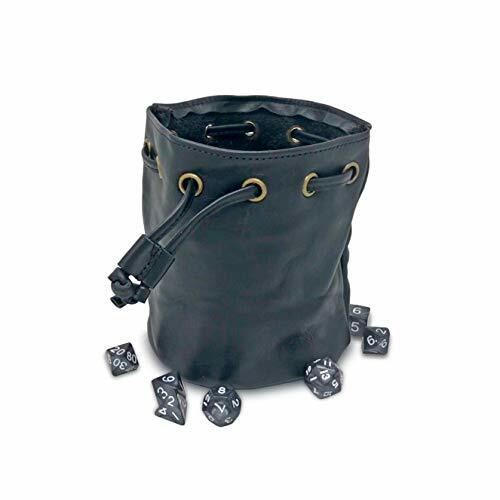 A finely crafted leather bag capable of holding 300+ dice featuring a durable leather strap that slides easily thru metal grommets with the contents secured by a leather fastener. Opening and closing this bag is a satisfying experience making your collection easily accessible. What does the leather bag look like? Each dice bag is made of premium leather standing 6 inches tall. The base is 5 inches round and features an embossed dragon. How good is the quality? We want you to be happy with what arrives in your mailbox, so we take quality very seriously. These dice bags reflect our commitment toward providing you a quality product. Why order from Dragons Play? We offer 100% satisfaction guaranteed! If you aren't happy with your dice, return them for any reason. Function: Mini coin wallet, very cool and stylish. Great coin wallet for men and women, simple and classic. Practical and classic design. Made of genuine leather with closure.. Compact size. 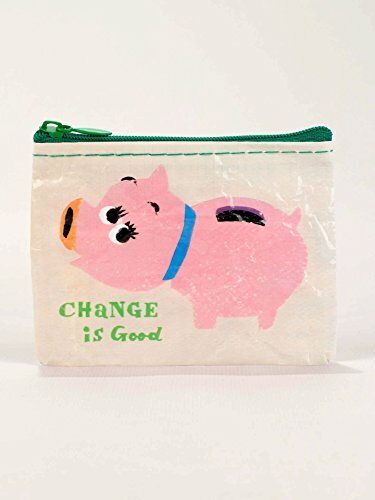 You can easily carry this change holder with you everywhere you go. Measuring approximately 3.15W x 3.15H (8 x 8 cm), it easily fits inside your pocket, handbag, backpack and more for easy access when you need it. Ergonomic coin pocket. This form is ergonomically very good for selecting the coins, without falling and without having to remove them all. Great gift idea. If you need to get a gift for a special occasion, this Coin Purse Holder will make a great practical gift for men and women alike. Stylish, compact and durably made, it's a gift they can use every day for years to come. Fashion design, and big capacity. It can store business card, coin and money, etc. Compact design, can fit into most pockets. Keep your belongings well organized with this simple yet fashionable wallet. DIMENSION: 5" X 3.5" X 0.25" VERSATILE: Not only can be used to hold coins,changes,folded bills and receipts, this coin purse can also be used as a quick run pouch so you can keep your stuff protected and close in hand. 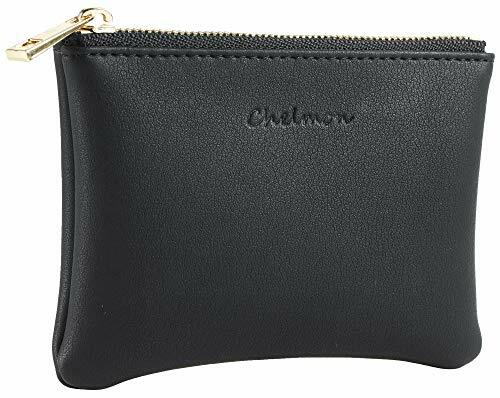 GENUINE LEATHER: Made of soft genuine cowhide leather, this coin purse is sturdily stitched and very comfortable,wearproof and scratch resistant. SLIM: This chang pouch can fit in your front or back pocket , a purse or briefcase. 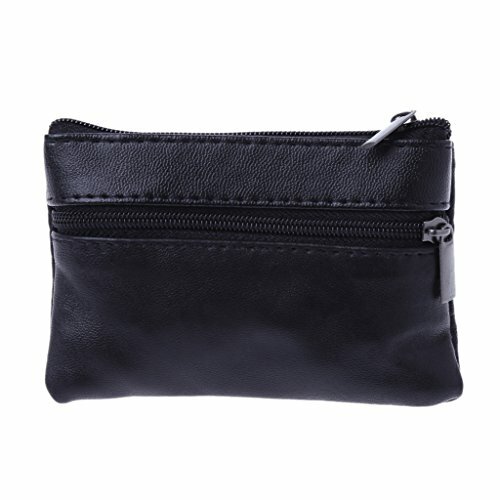 It is perfect for who wants a small cash and coin purse instead of a bulky traditional wallet. 1 YEAR WARRANTY: full refund or free replacment for any product defect within one year of purchase. 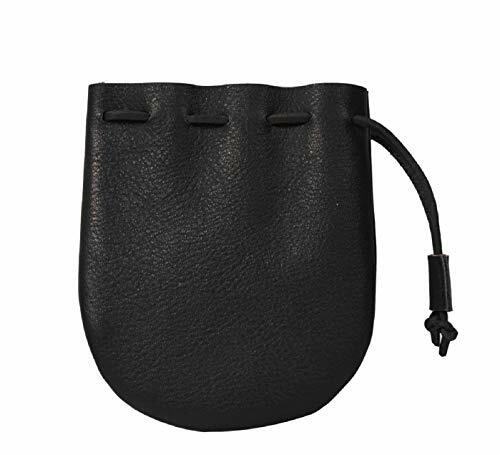 DIMENSION: 5" X 3.5" X 0.25"
VERSATILE: Not only can be used to hold coins,changes,folded bills and receipts, this coin purse can also be used as a quick run pouch so you can keep your stuff protected and close in hand. 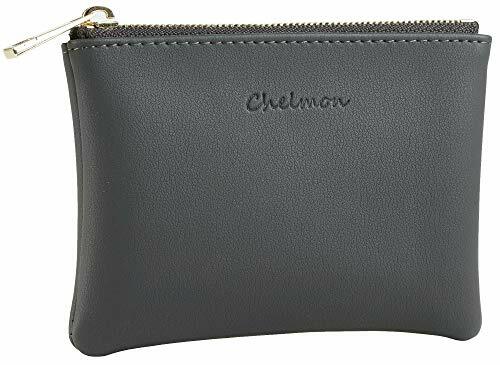 GENUINE LEATHER: Made of soft genuine cowhide leather, this coin purse is sturdily stitched and very comfortable,wearproof and scratch resistant. SLIM: This chang pouch can fit in your front or back pocket , a purse or briefcase. It is perfect for who wants a small cash and coin purse instead of a bulky traditional wallet. 1 YEAR WARRANTY: full refund or free replacment for any product defect within one year of purchase. Genuine Leather Drawstring Pouch, Coin Bag Medicine, Tobacco Pouch Made In U.S.A.
Travel in style with Minnie at your waist when you tote your essentials on-the-go wearing our hands-free hip pack.It features a classic Minnie Mouse on the front. 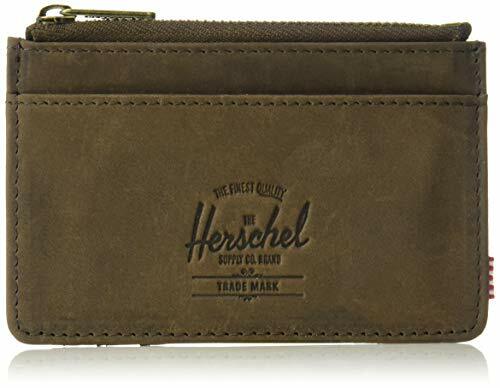 Brand: Herschel | Manufacturer: Herschel Supply Co.